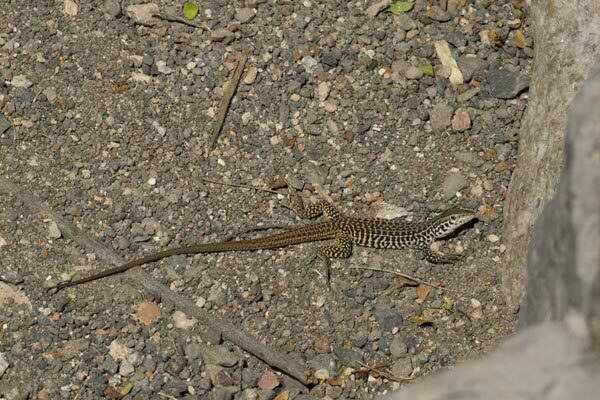 This large whiptail was obviously a campground veteran, and we saw it on multiple occasions over a couple of days. 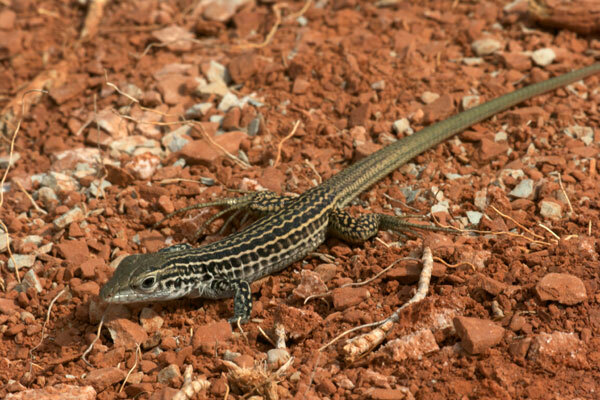 It was typically poking slowly around within about twenty feet of the picnic table at our campsite, and would race off as whiptails do when I went to get my camera. Our dogs thought this lizard was awesome entertainment. Eventually, after pointing out a nearby rattlesnake to me, it finally settled down for a few moments nearby and let me get a photo. After spending many long minutes hoping that a nearby whiptail of a different species would sit still for a moment, I was very pleasantly surprised to come across this motionless fellow in the middle of the slot canyon trail. 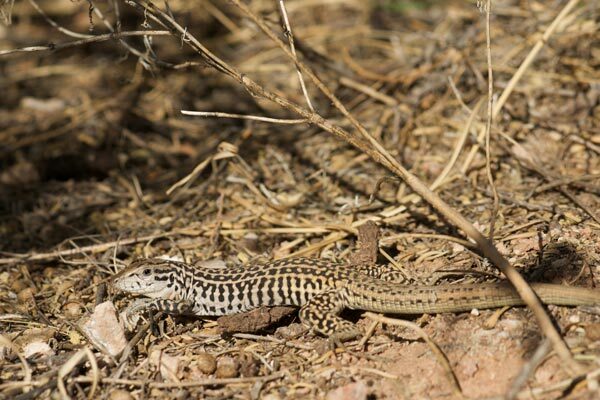 Palo Duro Canyon State Park is one of the most beautiful state parks in the U.S., and home to a large variety of interesting herps. Most of whom were tucked well out of sight on the cold and windy days when we visited. 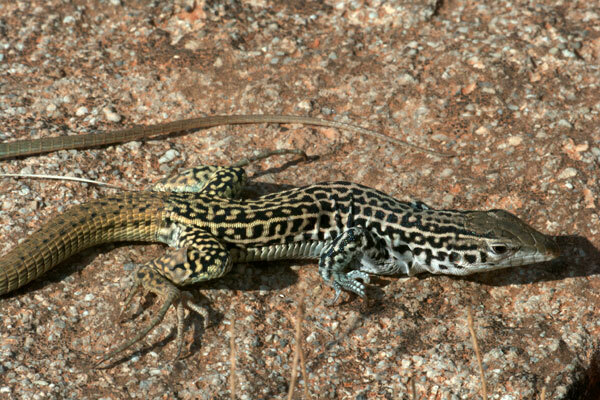 In fact, these two whiptails were both hiding under rocks and too chilly to run off quickly the way whiptails are typically wont to do.